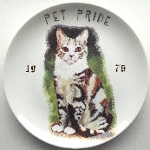 This cat plate was designed by Warren Kimble. 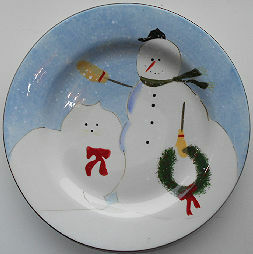 The snow man has a snow cat. The design is copyright 2004. The 8" plate was manufactured by Oneida. The plate is dishwasher and microwave safe. Previously owned but in good condition. This plate weighs over 1 pound.